In families where there are tremendous competing needs (like kids and aging parents) these crises can become a self-perpetuating situation. If the above scenario sounds familiar, welcome to the “Sandwich Generation.” There’s almost nothing more draining, stressful, emotional and guilt-inducing than caring for an elderly parent or relative while raising kids. I know what this is like because I’ve been there myself—and my life’s work has been devoted to helping people who are caring for elderly or sick relatives. If you are in this situation right now, you’re probably feeling pretty overwhelmed and alone. I want to tell you that regaining some peace and order in your life is possible. 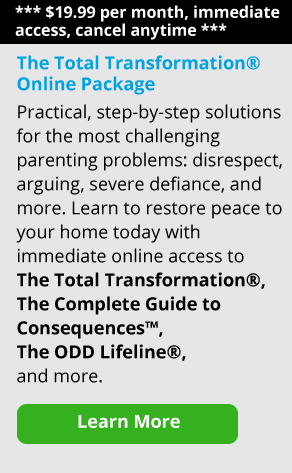 You can learn how to handle the obstacles and difficulties that arise—and you can also let go of some of the guilt, stress and other energy-draining emotions that pull you down and make you feel defeated and exhausted. It’s no surprise how this has evolved over the past 20 years, given the demographic changes in this country. We have more women in the workforce, increased life expectancy, couples having children later in life and smaller families—meaning fewer siblings are available to share in the caregiving for their elders. And for parents stuck in the Sandwich Generation, the stress can be extreme. It’s no wonder that marriage and family therapists often refer their clients to geriatric care managers for support. My Mother Fell Down Again—and My Kids Are Constantly Acting Out. Help! Your child might also just be plain angry and feeding off the stress in your household—a house that might feel as if it’s frequently in crisis mode. If this is the case, it’s important for you to step back, take a deep breath, evaluate what’s going on in your home and make a plan to take back control of your situation. Preparing by creating a plan will help make you feel stronger and more empowered in your life—and less like you’re living from crisis to crisis. What does this plan look like? When it comes to crises, I ask my clients all the time, “Is someone in immediate or imminent danger of death or injury? If the answer is “no” then I tell them it is not a crisis. It may be a major issue or major concern but not a crisis. What happens in families where there are tremendous competing needs (like kids and aging parents) is that these crises just become a self-perpetuating situation. Everyone is meeting “screech with screech” and there is simply no need for it. I advise my clients to take four very deep breaths, clear their head and slow down that “fight or flight” response. Take a step back and then begin. They can teach their kids to do this also by simply refusing to go to screech. Your parent’s crisis might have come before your child’s or vice versa. One may be feeding the other. If you step back, take a look and stop reacting all over the place you can break it down to understandable, manageable pieces. I can’t say it enough: Breathe. It sounds silly, but studies show that people who are under tremendous stress often forget to breathe. Steady, mindful breathing calms us down and gets crucial oxygen to our brains. That clarity will help you make better decisions. I always say that guilt is one of the most useless emotions—and the most embraced one in the world! We humans are great at feeling guilty for everything. It takes a lot of work to let go of guilt, especially for those of us in the Sandwich Generation. Because you are caring for kids, your aging parents, your spouse, your home, your community and your job, you probably feel like you have a million masters and can never please any of them. I believe this is where we must understand and tell ourselves daily that anything and everything we are doing is helping and that it matters. Identify where you might need some support or assistance, but don’t get stuck in the constant “coulda-shoulda-woulda’s” because it is just counter-productive. When someone offers to help, say, “Yes!” And sometimes you will need to ask for help as well—don’t hesitate. My clients are always amazed at how many people will pitch in if you ask. If you’re raising kids and caring for an elderly or sick relative, it’s also important for you to know that there is help for you—both for dealing with your children and your aging parents. The key is to know how to access that assistance. For some, that assistance is as close as your child’s school. School social workers and guidance counselors can be a good resource for finding assistance and services for your child and family. Often, people around you are dealing with aging relatives as well. Try reaching out—what’s the worst that could happen? And don’t forget your faith community. Talk to your clergyman and ask him or her to send word out that you need some help with chores, respite, sitting with your elder or meals. People love to help and will do so if asked. The Area Agencies on Aging (in almost all communities) can help with resources as well. Go to www.n4a.org to find one in your area. I am a big fan of intergenerational learning—and there is nowhere better to start than your own family. No matter their age, ability, maturity or behavior, all children can help their parents care for their elderly relatives. Whether it’s your five-year-old son bringing Nana a cup of juice, your teen visiting with Grandpa and helping him walk out to the sun porch, or your 23-year-old driving Aunt Rose to her doctor’s appointments, all kids can help in some way. Helping others makes us feel needed and wanted—and that we matter. I think it’s also important to share with your kids about the changes that are happening within the family and with your aging parent. When kept “age appropriate,” the information will actually decrease your child’s fear, anxiety and acting-out behaviors. For example, if you have a grandparent who has suffered a hip fracture and is going to be staying with you for a while until they heal, you might tell a 4-year-old, “Nana has a boo-boo on her leg. We are going to help her feel better.” You can give your 14-year-old more information: “Nana fell in the driveway and broke her hip. She’s in a lot of pain and needs our help right now. She’s going to be staying with us for a while until she feels better. We really need you to sit with Nana after school and help her out until we get home from work.” Keep it age appropriate but do share—it’s important for kids to feel needed and respected. There is very little we should not involve our kids in when caring for aging parents. Your kids always know more than you think they do! And if they are too young to understand it, they still know something is happening and changing. Even death, one of the scariest words in the world for us humans, is something kids can be part of. Because it is part of the circle of life, kids should know that it happens, is part of the life cycle and not a silent subject. While it is important to keep things age appropriate when it comes to any issue of aging, there are teachable moments everywhere. So, for instance, while it is unpleasant for a child to see a grandparent who is agitated due to their dementia, you can learn how to decrease the agitation, have the child see the grandparent when they are most calm, and explain that their dementia causes them to act differently than they used to but they are still the same Nana who always loved them. There are many resources out there, including www.alz.org, where one can learn about dementia, behaviors and coping strategies. When you’re sandwiched in between all this stress, it’s crucial to take some time for yourself. Schedule “respite” into your calendar. Meet a good friend for coffee if you can, or call someone to talk. Take a book to the beach, take a walk around your block, go shopping and do something fun for you. Build this into your plan of action because by doing so, you will be healthier physically and emotionally—and prepared to keep going. 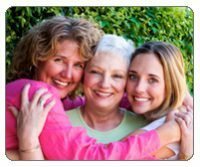 This may seem impossible because you may be thinking, “Who will watch Mom when she can’t be left alone?” The answer is easy: You can ask a friend to sit with her—or even offer to pay for their time. Also, home care agencies have people trained to care for your loved one. They can provide respite so you can get out for a while. Most have two hour minimums and cost about $25 an hour. If you can afford it, do it! It is worth every penny to help you get refreshed and keep you sane—and to give your mind and body a break from caregiver mode. One of the tough things about being caught in the Sandwich Generation is that between caring for your kids, trying to keep your job and caring for aging parents, you have little to no energy left for socialization with peers. Socialization is critical to all of us for emotional and physical health—so reach out. Talk to family and friends, your faith community and try to reconnect with the groups or clubs that used to interest you. These are critical connections that will sustain you. Don’t let them drift away. Feeling isolated and alone is one of the worst parts of caring for others, and is also one of the hardest aspects of elder care. If you simply don’t have time or energy for these things at present, make it a goal for the near future. And if you have no one to talk to, there are many caregiver support groups throughout the country. Go to www.n4a.org to find one near you. I always say that “action equals strength!” By creating a plan to handle the situation of being caught in the Sandwich Generation, you will be able to take control of the chaos you are swimming in. You will be able to breathe, calm your house down, look at and separate the issues of your children, aging parents, marriage and yourself. You owe it to your physical and mental health to understand what is going on and how to get the assistance needed to make a plan that will benefit everyone in your family.